Are you ready to think pink? 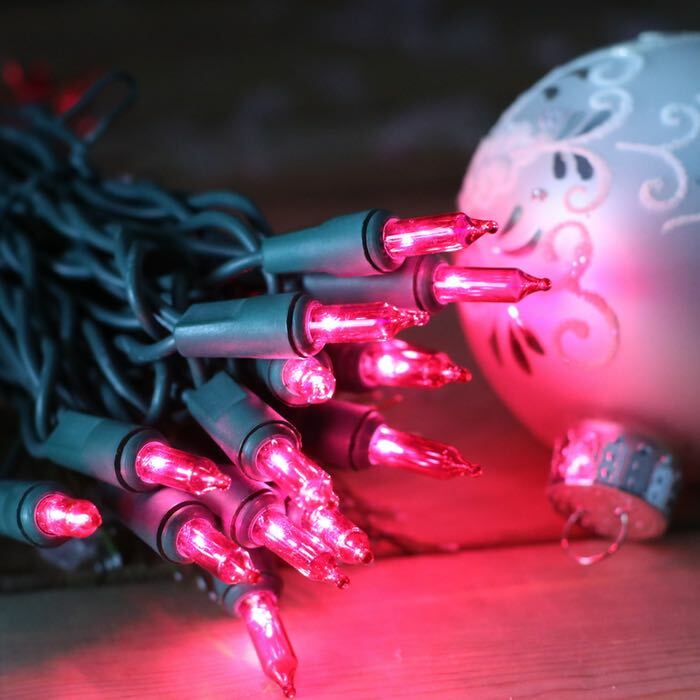 One of the hottest colors in Christmas lights is our beautiful bright pink mini lights. They are a fun color choice for Christmas trees and holiday decorating, as well as many other events. 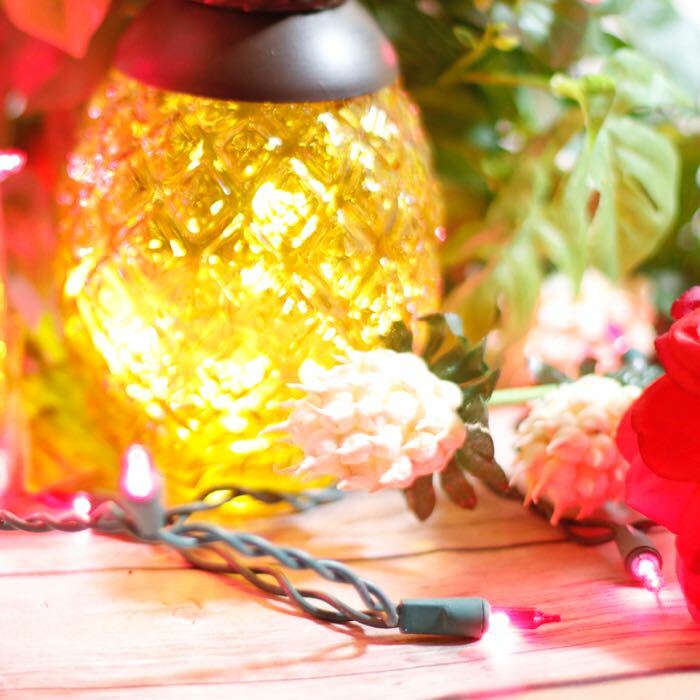 You will have multiple decorating options when you purchase these lights. Each string of lights is almost 51 feet in length, with 6 inches between each bulb. The maximum connection is 5 sets, before using a second extension cord. If you enjoy a retro look, spray some white flocking on your tree, combine pink and teal mini lights and you will be rockin' around the tree in no time. October is typically the month of pink, to bring awareness to breast cancer. Wrap these lights around a wreath to show support to someone who is struggling with this illness. Consider decorating for your little girl's sleepover and then leaving the lights up in her room year-round. Plug all of our lights into outdoor rated surge protectors. Q: Are your lights commercial grade? A: Yes, they are used by commercial installers across the country. Rated for indoor and outdoor use they are constructed with 22 AWG wire.